Fixes potential issue where MAO rules may be lost at initial sync when updating. Fixed: Addresses issue where MAO may hang at launch if sync settings is turned on. 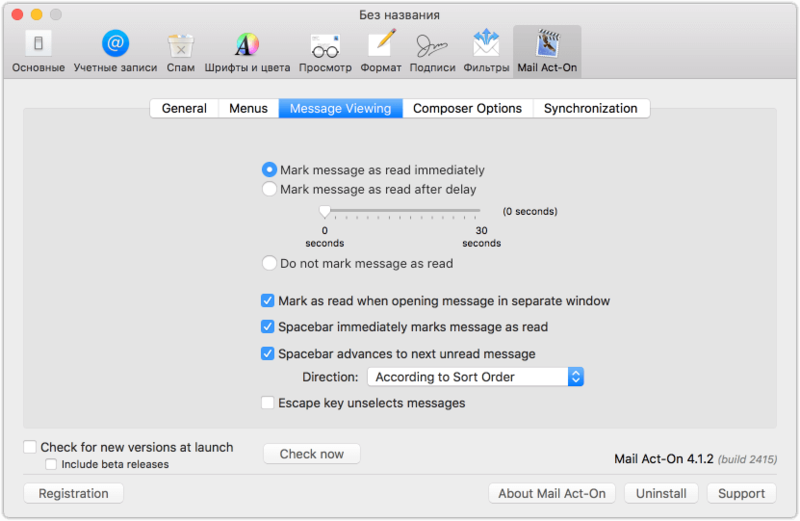 Fixed: Crash when sending messages on OS X 10.11. 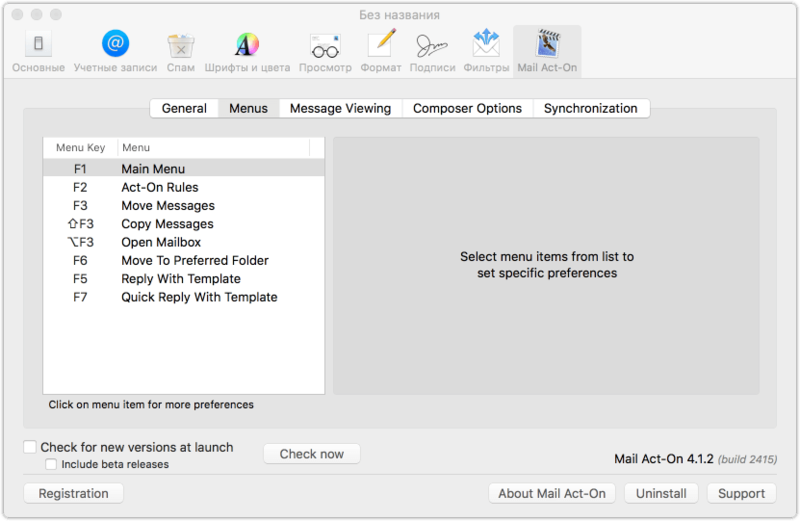 Fixed: Choosing open Mail Act-On preferences from File menu does nothing. 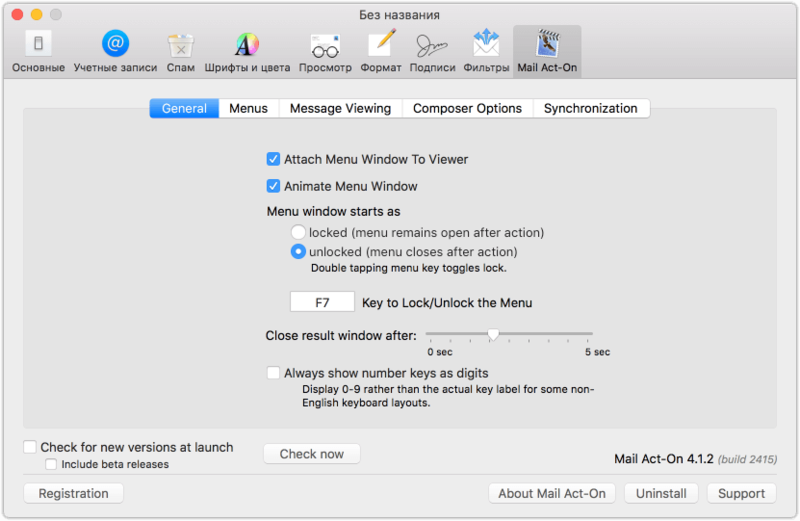 Fixed: Intermittent stability issues when opening Mail Act-On Rule Menu window. Fixed Fixes logic error when displaying High Sierra welcome window. Welcome window may show a second time for some users. Fixed: Issue with delayed delivery time not displaying in classic mode. Fixed: Interface issues when reediting delivery time for delayed messages.